(CNS): Having made it to the letter ‘G’ without a tropical storm reaching hurricane status the 2011 Atlantic Hurricane Season is already a record breaker. Following Tropical Storm Gert’s degeneration on Tuesday evening this season has become the first on record where none of the first seven tropical storms intensified into a hurricane. Although forecasters were predicting a relatively busy season, especially in the Caribbean region, weather experts say there has been too much dry air or wind shear over the tropics so far and storms have popped up in places where intensification was unlikely. However, Monday marked the start of what is sometimes called the Cape Verde season, when the most powerful storms tend to be spawned off the coast of West Africa and forecasters are expecting at least one hurricane before the end of this month. Given that the first hurricane normally develops by 10 Aug and that the predictions were for around ten hurricanes this season if those forecasters are right the next three months will be very busy. On Wednesday evening an area of cloudiness and showers associated with a tropical wave over the west-central Caribbean was becoming better organized the National Hurricane Centre in Miami was predicting but forecasters said there was no evidence of a surface circulation. Nevertheless the weather experts said environmental conditions remained conducive for gradual development during the next couple of days and gave the system a medium chance (40%) of becoming a tropical cyclone before the weekend as it heads west. On 4 August NOAA issued its updated outlook for the season and raised the number of expected named storms from its pre-season outlook in May. Confidence for an above-normal season increased from 65 percent in May to 85 percent. Also, the expected number of named storms increased from 12-18 in May to 14-19, and the expected number of hurricanes has increased from 6-10 in May to 7-10. (Guardian): Watching too much television could shorten your life, a study suggests. Research carried out in Australia, and published in the British Journal of Sports Medicine, showed that every hour of TV watched after the age of 25 may shorten lifespan by 22 minutes. According to one of the report's authors, Dr Lennert Veerman, from the School of Population Health at the University of Queensland, it puts long hours spent in front of the box "in the same ballpark as smoking and obesity". 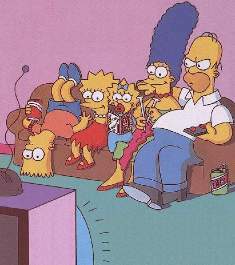 "While smoking rates are declining, watching TV is not, which has implications at a population level," he said. Last year, another Australian study found an hour of TV a day led to an 8% increase in the risk of premature death. "We've taken that study and translated it into what it means for life expectancy in Australia given how much TV we watch," said Veerman. (FT.Com): Twitter, the microblogging service, has now surpassed Facebook, the social networking market leader, as the most popular third-party network employed by financial services companies, according to a survey conducted by Corporate Insight, a specialist market research firm. At the start of August, just over two-thirds of the 85 companies across the banking, credit cards, brokerage and asset management sectors tracked by Corporate Insight had a presence on Twitter, up from 57 per cent 10 months earlier. Over the same time period, the percentage of financial services firms with Facebook pages increased from 56 to 59 per cent. (NPR): A bacterium from our guts is now rampagingthrough coral reefs in the Caribbean. Those reefs were already in slow decline, but they took a huge hit starting in 1996, when a disease called white pox appeared in the Florida Keys. "Since that time, elkhorn coral — the species it affects — has declined 88 percent in the Florida Keys," says Kathryn Sutherland, a reef ecologist at Rollins College in Florida. 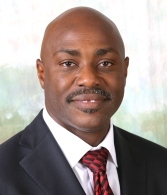 "And we've seen similar declines elsewhere in the Caribbean." The coral is named for its resemblance to elk antlers, and is among the most important reef-building species in the Caribbean. Sutherland and her colleagues soon found a culprit for the die-off — a bacterium called Serratia marcescens. It also happens to cause disease in human beings, notably hospital infections. But the scientists couldn't prove cause and effect. “In 2002, we could only speculate that human waste was the source of the pathogen because the pathogen is also found in the guts of other animals," such as deer, Sutherland says. So she and some colleagues exposed the coral in the laboratory to bacteria extracted from sewage. 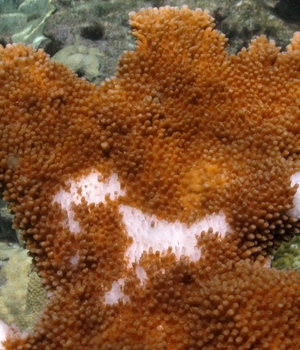 As they report in the journal PLoS ONE, the coral got the pox within days. "That gave us definitive evidence that white pox disease is caused by a pathogen found in human sewage." (The Guardian): The government is to change the law to enable better information sharing between the International Olympic Committee, the police and regulators in a bid to clamp down on potential corruption ahead of the London Games. 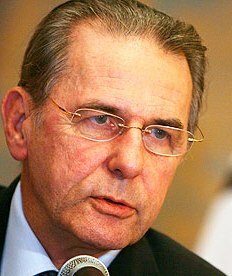 The IOC's president, Jacques Rogge, has recently taken a lead in attempting to tackle the global issue of match-fixing and corruption, which have been most prevalent in football, snooker and cricket but which he believes also poses a threat to the Olympics. Rogge has claimed that the problem is as much of a threat to sport's future as doping, and has convened a series of summits to agree a plan of action, involving sports ministers from around the world, including Britain's Hugh Robertson, and Interpol. "It is a world problem and it is a very pernicious problem. 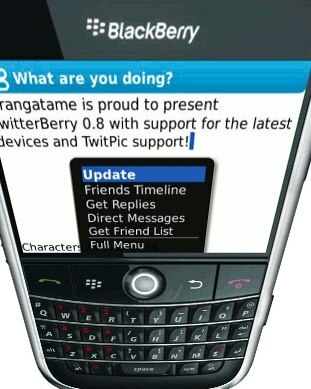 With the introduction of broadband, you can bet worldwide," Rogge told the Guardian last month. "The danger is that from illegal betting comes match-fixing and you see more and more attempts to manipulate matches. It is as dangerous as doping for the credibility of sport. It's only the beginning of a huge battle." (CNS): One young student is doing his best to revive the Cayman Islands proud maritime past by creating plans for the country’s traditional Catboats. Ned Jerris Miller III is spending this summer putting his skills, learned at the International Yacht Restoration School (IYRS) in Newport, Rhode Island, into practice. The first recipient of the Gwen Bush Memorial Scholarship, which awards $20,000 annually, Ned is excited about the work documenting the dimensions of the nine catboats in the Cayman Catboat Club’s fleet. Very few of Cayman’s original catboat builders remain to pass their skills on to the younger generation so Kem Jackson, one of two remaining master boat builders has taken Ned under his wing. Earlier this year, as part of his freshman assignment, Ned and a teammate completed the restoration of a dilapidated 55-year-old 12-ft Beetle which passed its sea worthiness test with flying colours after successfully crossing the Newport Sound in June. 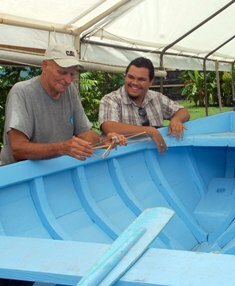 “While the construction of a New England catboat differs from that of a local catboat, all the techniques learned at IYRS reflect the traditional way that catboats were built in the Cayman Islands. The drafting and technical drawing courses taught me how to document the dimensions of existing Cayman Catboats and to produce full-sized plans. This will allow interested persons to build catboats from plans and may result in additional private catboats sailing in our waters,” he explained. When his summer work is finished here in Cayman it will be sent to IYRS for evaluation and addition to his 2010/2011 grades and he will present copies of his drawings to the Cayman Islands National Archive for safekeeping. Ned returns to IYRS in September where he’ll complete the final 12-months of his two-year programme. For more information on the Gwen Bush Memorial Scholarship, call the Scholarship Secretariat on 244-2417 or email scholarships@gov.ky. Information is also available at www.education.gov.ky under the education tab. (Reuters): Banks criticized Franco-German plans for a tax on financial transactions,saying they will jeopardize economic growth and distort markets, as the British, Dutch and Swedish governments distanced themselves from the proposals. “The financial-services industry should not be seen as an additional source of tax revenue but as an essential part of a stable and sustainable economy,” said the Association for Financial Markets in Europe. A “tax would be a brake on economic growth,” it said in a statement. Lenders would pass on the cost of the levy to customers in the same way they already transfer the cost of UK Stamp Duty on share purchases to clients, Brian Mairs, a spokesman for the British Bankers’ Association, a London-based lobby, said today. A tax would only work if implemented globally or it would trigger “distortions” in financial markets, Mairs said. The British government, which oversees Europe’s biggest financial centre, is preparing to clash with its French and German counterparts over the levy, which would be applied in all 27 European Union countries. Finance chiefs failed to agree on a transactions tax in September 2010, amid opposition from nations including the U.K. The Swedish and Dutch governments also said today that they oppose the plans. EU taxation proposals require unanimous support from the bloc’s 27 governments to become law. (CNS): Last year the Caledonian Group set a goal to plant 40 native trees across Cayman to represent each year that the company has been present on the island. Earlier this month, twelve volunteers from the Group dedicated their morning to getting their hands in the dirt and planting the first batch of the company’s purchased 40 trees. The event took place at Teacher Al Al Park in the district of West Bay and was in collaboration with Government Recreation, Parks and Cemeteries Unit (RPCU). The collaboration was a perfect fit as government maintained public parks present the greatest opportunity to give back and help support greener, more environmentally-friendly places for the community, a release from Caedonian said. The Caledonian team planted nine seagrape and thirteen cocoplum trees around the park and has plans to continue these environmental efforts with more tree plantings scheduled for other public parks. The West Bay planting event was inaugurated by new Caledonian Managing Director Barry McQuain and RPCU’s Acting General Manager Mikol Watler, by placing commemorative signage in the park. At the signage installation event, Watler thanked Caledonian for its contribution, acclaiming them for their hands on role in making the island greener. The partners and management of Caledonian are committed to achieving a real and sustainable positive impact in Cayman’s community. The organisation’s “Forty Trees for Forty Years” initiative focuses on the environment and hopes to be the first initiative in a series of ongoing efforts to promote and support endemic plant life. 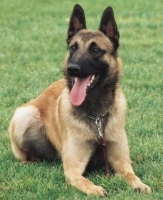 (CNS): A suspect in a domestic violence incidence who was refusing to comply with police officers requests changed his mind when he came face to face with one of the new Belgian Malinois dogs in the RCIPS K-9 Unit. Police say that at around 4:15pm on Friday, 12 August, police officers were called to a domestic incident at a house in Palm Dale Drive, George Town. When they got there the officers were told that a man had smashed up property inside the house and had threatened his wife. The woman was not injured in the incident but her husband refused to come to the door of the house when instructed to do so by officers. It was not clear to officers where the man was within the home and so the decision was made to deploy Misty the K9 to search for him. The RCIPS have reported that the dog quickly found the suspect hiding behind a door, and on coming face to face with the Malinois, the man immediately gave himself up and complied with the instructions of the officers to leave the house. He was arrested on suspicion of threatening violence and insulting the modesty of a woman.